Well, it's a dreary morning today with rain. At least it's a nice slow penetrating one which makes it good for those May flowers. Speaking of which, my image today may brighten things up a bit. This is a close up of one of my Heliopsis blooms from last summer. 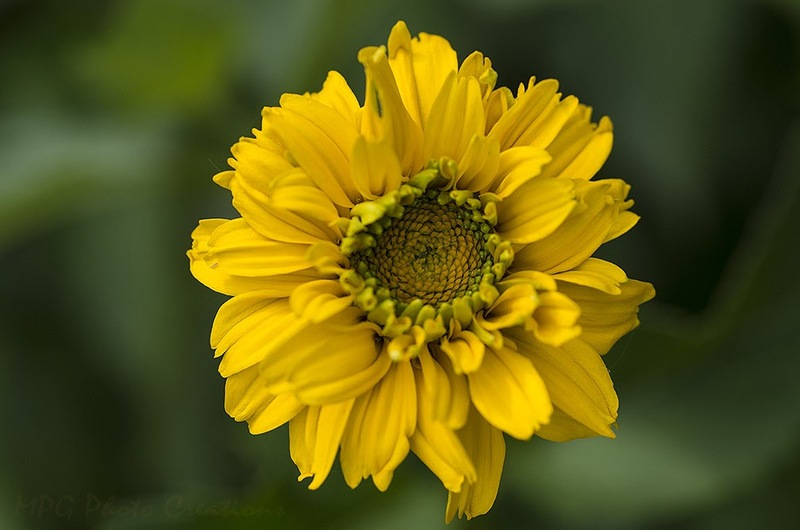 Heliopsis is in the sunflower family. I am looking forward to this blooming again because the butterflies really seemed to enjoy it. It bloomed most of the summer into autumn.